People traveling through the Jacksonville International Airport and other airports this holiday season can bring their pies in carry-on bags, but need to leave their firearms, knives, brass knuckles and grenades behind. The Transportation Security Administration and airport officials unveiled an upgraded system to scan checked baggage on Tuesday. They also reminded people to leave their weapons behind. They said bringing only accepted items and arriving in time for flights will be key with thousands more people flying this year. JIA and other airports have seen an increase in the number of guns intercepted. TSA officers have stopped 32 guns at JIA checkpoints so far this year compared to 25 for all of 2015 and 14 a year earlier. “There is an unfortunate escalation in the number of firearms being brought to checkpoints,” said TSA Public Affairs Manager Sari Koshetz. She said most guns are loaded and they want to avoid tragedy, especially since many people fling their bags onto the conveyor belts. Also, if officers see a firearm in a bag, they freeze the lane and partner with law enforcement — here that is the Jacksonville Aviation Authority Police Department — which she said decides how to handle the situation and could arrest the individual. Even if individuals are not arrested, Koshetz said they face a penalty of up to $11,000. She suggested people pack their suitcases, unpack and repack again before heading to the airport. TSA officials encouraged people to go onto the agency’s home page, tsa.gov, where they can type in items and the system will bounce back whether those items are permitted. People abandon thousands of pounds of unpermitted property at TSA checkpoints at almost every airport in a typical year, Koshetz said. When asked about some of the items in a photo of items intercepted by TSA in Jacksonville including guns, knives and particularly a grenade, TSA federal security director Tricia Chasse said people try to take thousands of grenades (many of them just souvenirs) through airports across the country. Even if the item is just a replica, Koshetz said that when the image pops up on the screen, officers freeze the operation and must ensure there are no explosives. 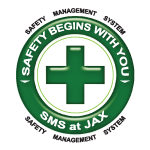 TSA and Jacksonville airport officials partnered in mid-2015 to begin construction to replace the inline checked baggage explosive detection system, Chasse said. The fully automated system has superior imaging to better detect the contents of bags, she said. If something is detected in a bag, it is diverted to TSA’s resolution room where a security officer will open the bag and determine what the item is, Chasse said. She said the high-quality imaging allows TSA officers to detect possible items at a higher rate, allowing more than 100 additional bags per piece of equipment per hour, making the process more efficient. The increased capacity allows for growth at the airport and larger passenger volumes. Chasse, federal security director for JIA and seven other airports in Northern Florida, said there is no noticeable change for passengers except the checked baggage screening is being removed from the lobby. The new system went live on the southside of the terminal on Nov. 15 so the previous system will be removed from that side in the next month, Chasse said. The screening equipment has already been removed from the north side of the building. There are four pieces of the state-of-the-art explosive detection equipment, which each cost more than $1 million. TSA purchased the actual screening equipment and the Jacksonville Aviation Authority, which operates the airport, paid for the system of conveyor belts to move the bags around, but up to 90 percent of that can be reimbursed back to the authority from the federal government. JIA expects a 2 percent increase in passengers this Thanksgiving, which Koshetz should indicate people need to arrive earlier here and at other airports, particularly with the need to find parking, check in, go through security and get to their gate. 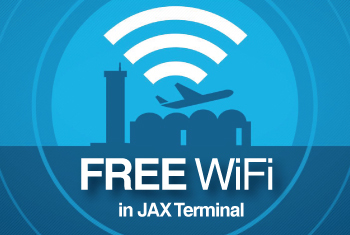 From Wednesday through Sunday of 2015, about 37,200 passengers flew out of the Jacksonville airport.